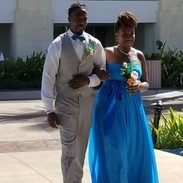 The dress was lovely! The slit in the side was perfect and everyone complimented on it. The only downside was the bust. 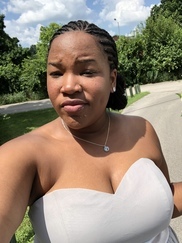 The bust I ordered was originally smaller than it needed to be because I knew the dress was strapless so it needed to be tighter to avoid slipping. The dress came in and the bust was the incorrect size but apart from that the dress was beautiful. 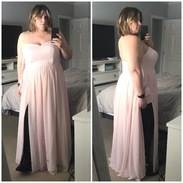 It's a beautiful dress, but fits a little larger than I thought it would. I did custom sizing, but used what I thought would be the appropriate sizing. The dress came in a little shorter than I'd like it to be and the bust came a little looser than I wanted it, but it'll be fine! 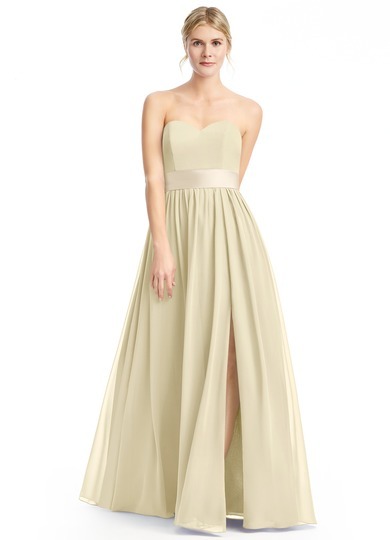 I love that it has some pretty deep pockets and the slit is the perfect thigh height. The dress isn't low cut at all, and sits perfectly. I also love that the sash is removable, and while it compliments the dress wonderfully, it's just as beautiful if you choose to not wear the sash. The Burgundy color is absolutely perfect. 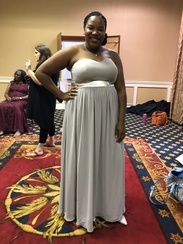 Got dress as a bridesmaid in a wedding, and the fit was very nice. The dress has pockets, which is a plus. 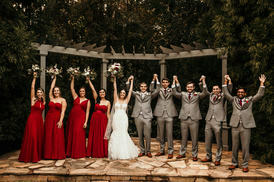 Only issue I, along with one other bridesmaid, had was that the clasp at the top of the zipper broke almost immediately. Other than that, the cups in the dress are perfect, loved everything about it. I fit the size measurements for the size of the dress I purchased perfectly but the dress was way too large when I received it. The boning from the dress in the front was also bent from being shipped and plastic doesn’t bend back. I’m going to have to pay more then half of the cost of the dress to get it altered. I ordered the dress according to the measurement chart provided. It is so small that I can not zip it more than halfway up and do not have the time to return it or purchase a new one. 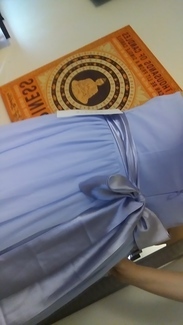 The quality and color of the dress is nice, although it was missing part of the clasp. 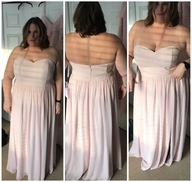 Unfortunately now I am going to have to take it to a seamstress or find a shrug that covers my back in order to be able to wear it for the wedding next month. The dress arrived sooner than expected which was great. It is a lovely style for most folks. The color "pearl pink" tends to be more peach. 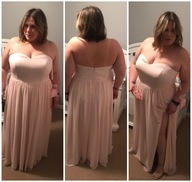 We ordered a sample but the dress is much more peach than the sample or the picture. 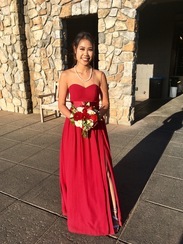 All in all, a nice dress. 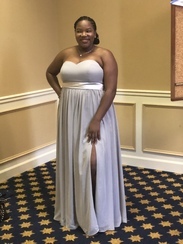 Ordered sample dress to better determine sizes needed and was very pleased with the service. 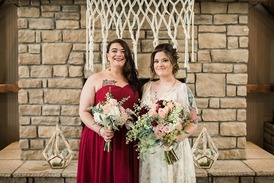 Also ordered fabric swatches with I highly recommend for comparison with other details of your special day! Definitely a very good company to work with and highly recommend. 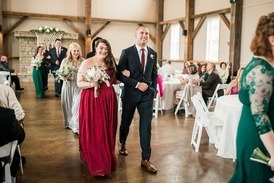 The dress is beautiful- love the fabric and the color. 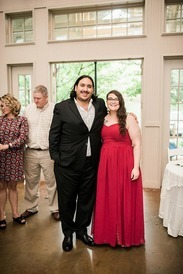 My one issue was that the dress was large up top, but I did my own measurements so that could have been user error. 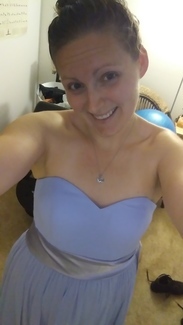 I received my dress today. 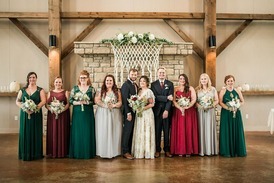 I provided my measurements for a custom order and it fits perfectly. The quality exceeded my expectations for this price! I'm stoked! I can't wait to post pictures. 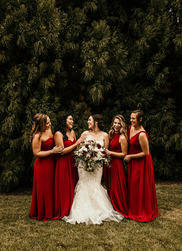 I'm recommending this site to all of the upcoming brides to be. Azazie is the BEST! 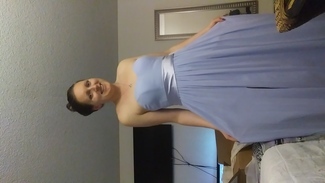 I am getting married in Sept. and wanted to use them for my bridesmaids dresses, we ordered a few samples each and all got together for a try on party. 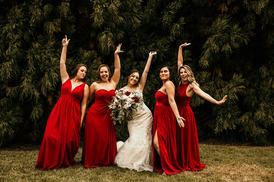 The shipping time was exactly as expected, the quality of the dress was perfect. 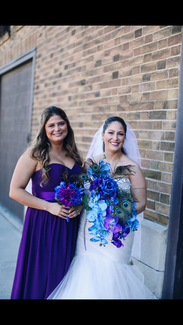 The color matched the swatches we previously ordered perfectly and the design was beautiful. 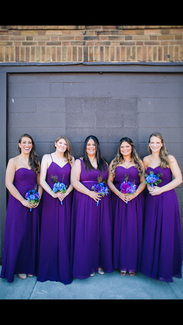 All the girls involved in the bridal party loved each one of the styles we tried. The customer service is great as well, we contacted them to communicate about shipping all our samples to one address. We wanted to be sure we wouldn't have any issues and they were kind enough to make a note on each order that we placed so we wouldn't run into any complications. I would highly recommend this company for anyone looking for an alternate option for gown shopping!! I would also highly recommend this gown for anyone interested in this style, it's gorgeous!